“Revelation the Fourth Son” has 25 Chapters covering a variety of subjects relating BIBLE SCRIPTURE to Spiritual and Physical life. 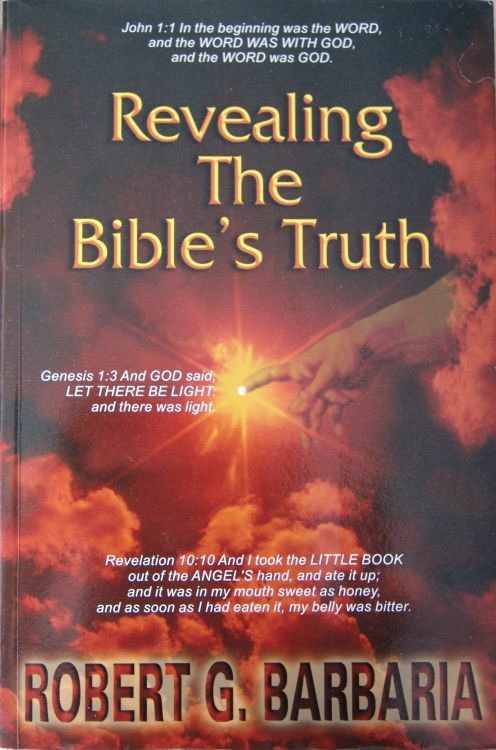 The BOOK speaks to issues regarding JESUS CHRIST, the ANGELS and, HEAVEN and HELL. It also explains in great detail the life cycles of all things within the physical world, including the UNIVERSE, which houses the physical world. The BOOK addresses issues regarding SPIRITUAL ASCENSION, Guardian and Scribe Angels, looking to the SOUL rather than to the mind for guidance, gender and sexual behavior; along with a host of other subjects buried deep within the Holy Bible Scriptures that are not normally addressed by the Church or in Biblical teaching. THE DELIVERER and HIS PURPOSE is clearly described and supported by Scripture, and life on the earth during the MILLENNIUM is covered for both them in NEW JERUSALEM and those remaining on the earth outside of the CITY after Armageddon. 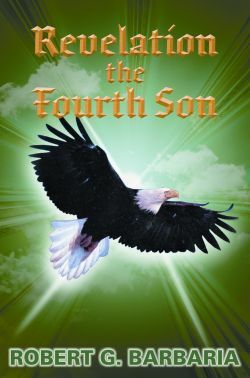 “Revelation the Fourth Son” explains what the Bible says about the “END TIMES”, without the TRUTH being watered down by Church doctrine or its false religious beliefs. It details the number of each of the categories of people that either go to HEAVEN, to HELL, or go back into the dust of the earth. “Whereas the SPIRIT provides the ESSENCE of LIFE and your IDENTITY, the SOUL PROVIDES your PURPOSE in LIFE and your ETERNITY. MAN cannot enter HEAVEN without a SOUL, and it is the GOD GIVEN SOUL that allows MAN to ASCEND beyond the “EARTH PLANE”, for with the SOUL comes EMOTION and the ability to differentiate between GOOD and EVIL”. “The ANGEL is a CREATION of GOD whereas MAN is a DESCENDANT of GOD, by way of the SERAPHIM. The ANGEL however is SPIRITUALLY SUPERIOR to MAN, and in HEAVEN the ANGEL is above MAN up to the SEVENTH LEVEL, even though there is an equivalency in SPIRITUAL GIFTS of the ANGEL and the MAN of the SIXTH LEVEL”. “Lucifer has OMNI-PRESENCE in a limited form, and because of his OMNI-PRESENCE he can be in all places on the earth at the same time. However, he does not have OMNIPOTENCE, that which would allow him to use his POWER while being in ALL PLACES. Therefore, Lucifer can personally attack only one person at a time, even though he can be in ALL places at the same time”. “GOD, in this world, can only be seen as WORDS in a BOOK, and the BOOK is called the HOLY BIBLE. The MESSAGE contained in all THREE BOOKS I have written for THE LORD is the SAME, “READ THE HOLY BIBLE”! The MESSAGE is clear and so very IMPORTANT; because only through the SCRIPTURES can GOD be seen in this world, and only through the SCRIPTURES can GOD be TRUSTED, for HE will adhere to HIS WORD”!